New Laser X Long-Range Blaster and Gaming Tower on Shelves Now! Laser X is the ultimate high-tech game of tag. All Laser X sets work together, so players can play one-on-one, in teams, or set their blasters to “rogue” and it's every man for himself! During a game of Laser X, if you blast the tower, it blasts multiple players at the same time, from up to 150 feet away. 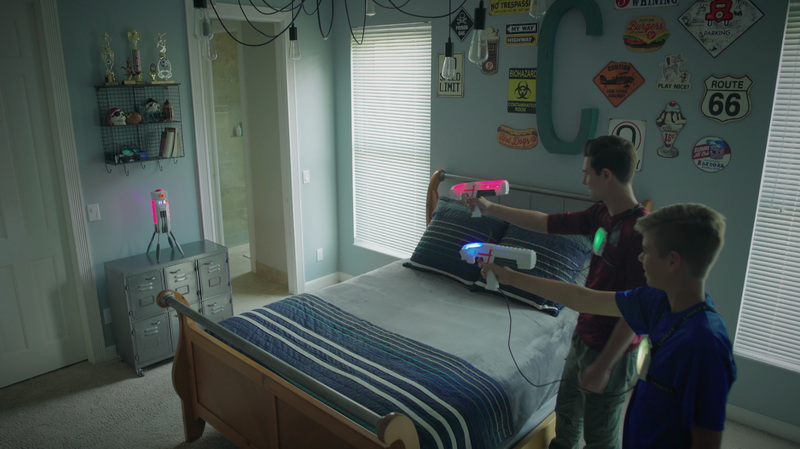 NSI International, Inc. announced today that it is expanding the best-selling Laser X home laser tag system with a Long-Range Blaster and Gaming Tower. The Long-Range Blaster has an amazing 400-foot blasting range, LED spotting scope, super-fast reload and vibrates when players get hit. The Gaming Tower has nine built-in games that test players’ speed and skills. Four of the games can be played by a single player, while the rest can be played by two players or more. Laser X is the ultimate high-tech game of tag. It uses sophisticated electronics and optics to give players pinpoint blasting accuracy up to 200 feet (400 feet with the new Long-Range Blaster). Advanced sensors know when players are blasting, being hit, running or hiding, and an interactive voice coach uses this information to offer tips and tricks throughout the game – all without the need for a smart phone or other device. Laser X can be played both in the dark or outside in bright sunlight. Receiver vests keep tracks of hits, and after 10 hits, a player is eliminated from the game. 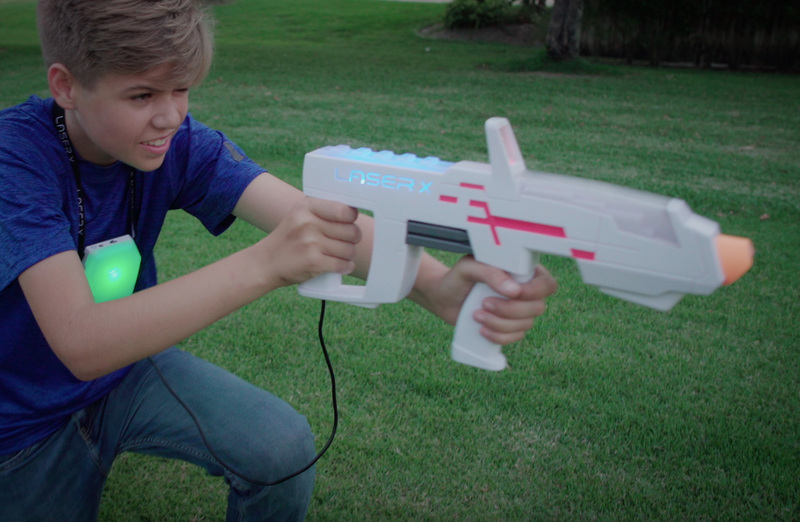 All Laser X sets work together, so players can play one-on-one, in teams, or set their blasters to “rogue” and take on the whole neighborhood. In “rogue” mode, it’s every player for his or herself. Laser X is available in sets that equip two players for $49.99 or individual players for $24.99. The new Long-Range Blaster and Gaming Tower retails for $39.99 each. Both are now available at Target, Toys “R” Us, GetLaserX.com and specialty retailers nationwide. For more information, contact Brian Waldman, Senior Vice President of NSI International, at (917) 592-0701. NSI International Inc. is an award winning global marketer and manufacturer of innovative toys and children’s products under such established brands as Wubble™ Bubble Ball, Laser XTM, Nickelodeon GakTM, Smithsonian® Science and Oglo™ sports. NSI is headquartered in New York City. Its products can be found in thousands of retail locations in more than 30 countries around the globe. © 2017 NSI International, Inc. All Rights Reserved. Featuring 25-shot rapid fire, LED spotting scope and super-fast reload, the Long-Range Blaster has pinpoint accuracy up to 400 feet – day or night! With nine built-in games that test a player’s speed and skills, the Laser X Gaming Tower not only enhances a game of Laser X, but makes it possible to play solo.